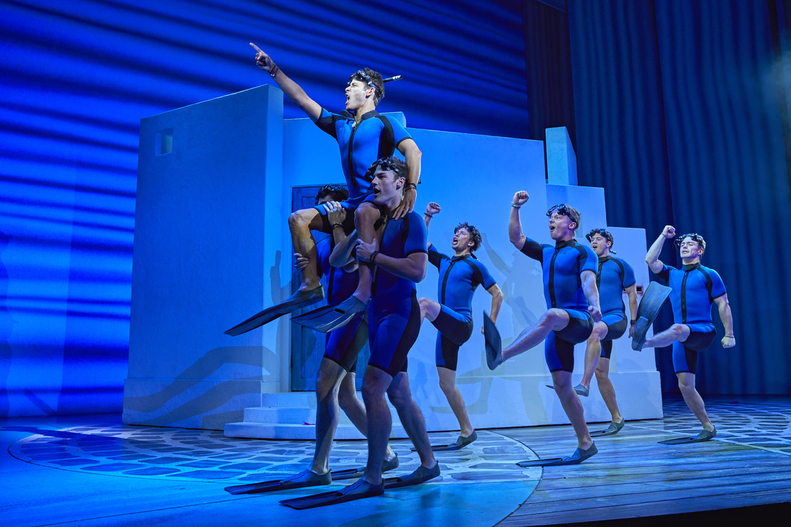 With such a good reputation on screen, those who have only seen the film before were wowed by the liveliness on stage, with each number gathering momentum as the show continued. Favourite numbers tended to be ones that included Donna with her two best friends Tanya (Helen Anker) and Rosie (Nicky Swift). Their adaptation of Chiquitita had the audience in stitches as Tanya and Rosie appeared to be quite the comedic pair. Tanya’s scene of the performance Does Your Mother Know was also accompanied by humour, excellent choreography and extremely talented dancers, resulting in a rapturous applause from the audience. It’s not only the energetic cast that keep the audience bouncing and singing along to the tracks, but the wonderful costume that accompanies. Particular stand-outs included the super ABBA- inspired hen party costumes; injected with lashings of glitz and glamour, flares and sequins. 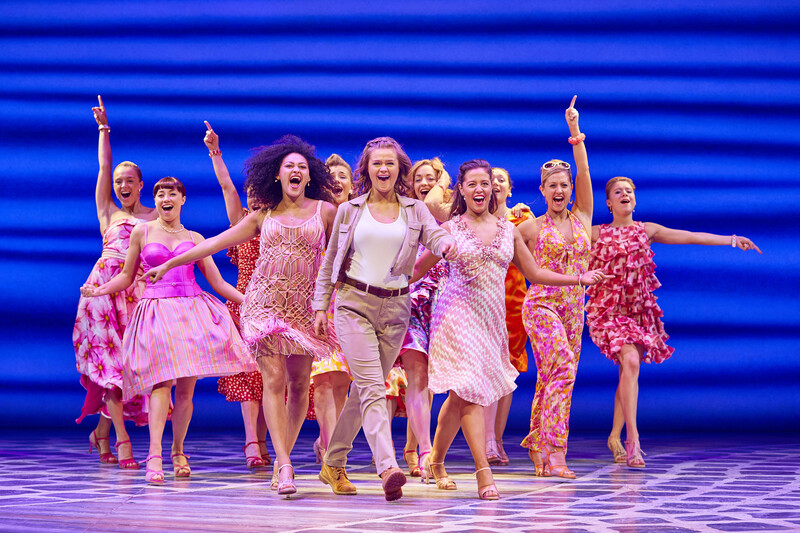 It would be extremely difficult to be disappointed by Mamma Mia. 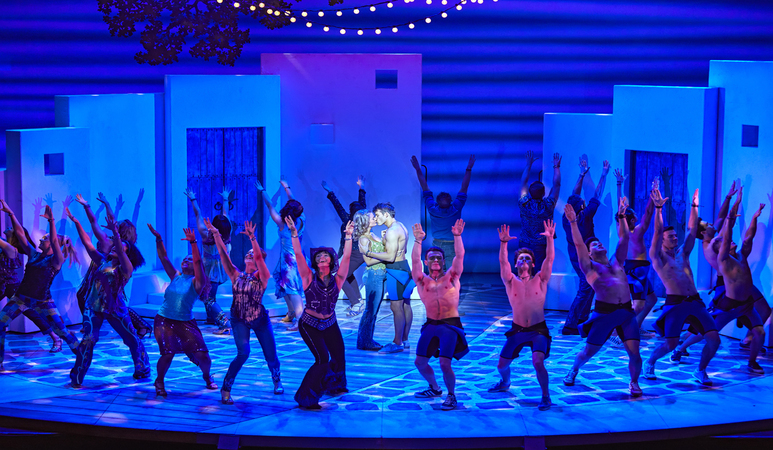 With laugher, colour and energy injected throughout the whole performance, the audience showed no signs of hesitation when they were encouraged to get up and have a sing and a dance at the end of the show. As plumes of confetti floated through the air, people danced in the aisles belting out their favourite timeless ABBA classics, reminding us all to say: Thankyou For The Music, ABBA. The Liquor Store launches a new range of boozy cocktails and you could be in with a chance of trying them all for free!